It was fountain number 60, the one presiding over the Banhnofstrasse. You have seen in the peak of Summer and covered in snow. But, today Frau T. found another angle to this fountain on her way to the Hauptbanhnof. 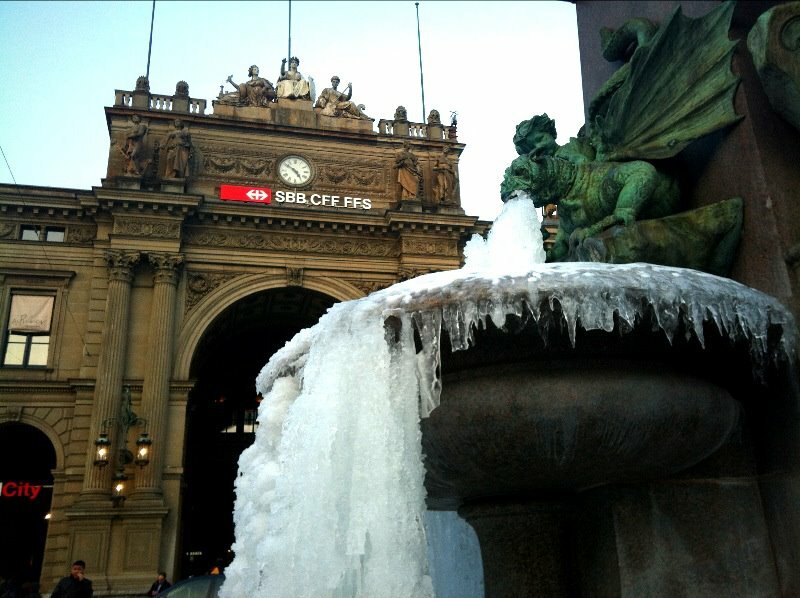 It is at least curious to see a dragon spitting ice… It is still bitterly cold in Zurich. Slowly but surely, all fountains are starting to have more ice than flowing water. Again, a big thank you to Frau T, who spotted the dragon and took out her gloves to make this picture possible.